October 4, 2016- Memphis, TN- Glankler Brown, PLLC is pleased to announce that George Nassar, Jr. has been named President of the University of Mississippi Law Alumni Board of Directors. 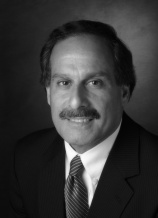 Mr. Nassar concentrates his practice in the areas of estate planning, probate, tax planning and business transactions. He has over 30 years of experience in the practice of law. His areas of expertise include estate planning and formulation of sophisticated tax planning and wealth transfer techniques for clients with significant domestic and international holdings. He counsels clients with respect to mergers and acquisitions and regularly structures and negotiates complex business transactions. In addition, Mr. Nassar represents business clients in disputes with the Internal Revenue Service and various state revenue agencies. He also serves as a Special Judge in the Probate Court of Shelby County, Tennessee. ABOUT GLANKLER BROWN: Based in Memphis, Tennessee, Glankler Brown, PLLC attorneys represent clients with matters throughout the United States and abroad. In addition to Tennessee, the firm’s attorneys are licensed in Mississippi, Arkansas, Alabama, New York, Texas, Georgia, Illinois, Maryland, and the District of Columbia. With experience in more than 35 different areas of law, Glankler Brown’s attorneys deliver quality legal services to local, regional, national and international clients.